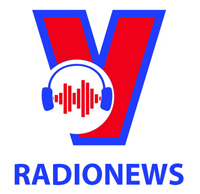 Chairman of the NA’s Committee for External Relations Nguyen Van Giau made the remark in an interview with Vietnam News Agency following the trips by the top legislator. 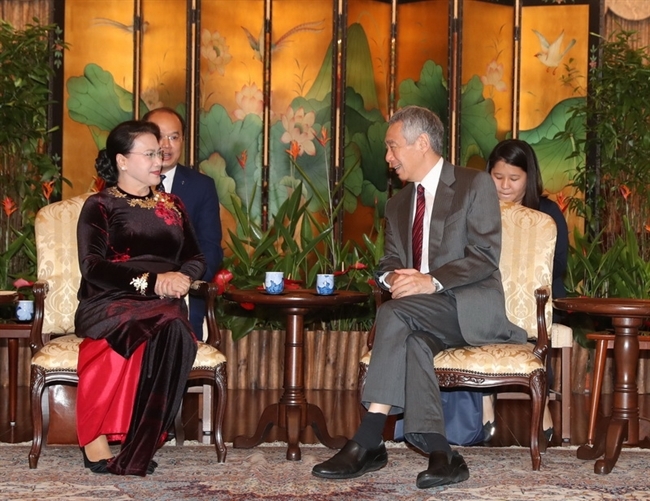 Giau said the Singaporean leaders showed their respect for Chairwoman Ngan’s visit and congratulated Vietnam on the successful organization of the APEC Economic Leaders’ Week in Da Nang city. 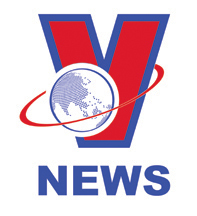 The leaders of Singapore affirmed that their country’s businesses want to expand operation in Vietnam. 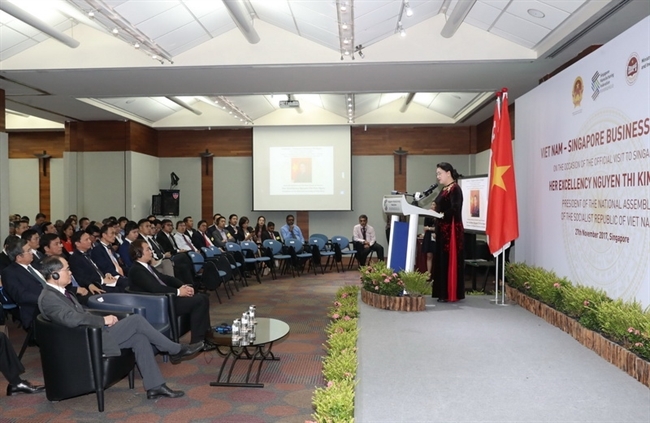 They spoke highly of Vietnam’s investment environment, especially political and policy stability which has enhanced investors’ trust. laid flowers at the statue of President Ho Chi Minh in the Asian Civilizations Museum in Singapore. Singaporean counterpart Tan Chuan-Jin, was held at the Singapore Parliament’s Headquarters. As part of the visit, a business-to-business seminar attracted 190 enterprises of Singapore, three times the expected number. They voiced their interest in investing in renewable energy and hi-end resorts while proposing cooperation in education and urban development. The trip to Singapore was significant to reinforcing the two countries’ strategic partnership and discussing ways to bolster parliamentary ties. The two sides agreed to make regular visits by high-ranking delegations, parliamentary agencies, and friendship organizations, thereby bringing into play the fine outcomes of their strategic partnership, Giau noted. 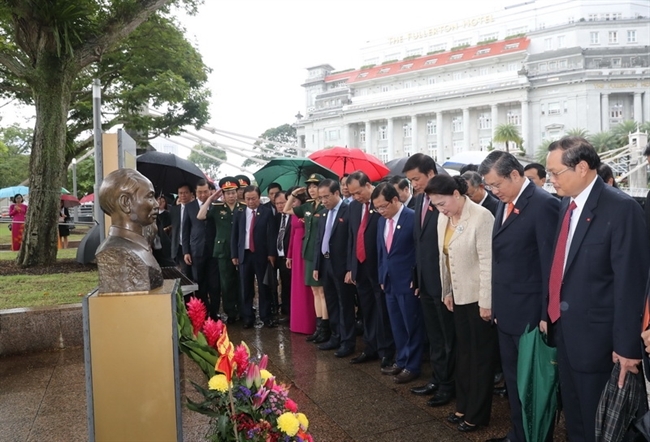 Since the establishment of diplomatic ties on August 1, 1973, the friendship and comprehensive cooperation between Vietnam and Singapore has progressed effectively on the five pillars of politics; economy; national defense and security; education, law, health, culture-arts-sports; and cooperation at regional and international forums. He said during the tour of Australia, the two sides straightforwardly looked into a number of issues so as to boost mutual understanding. 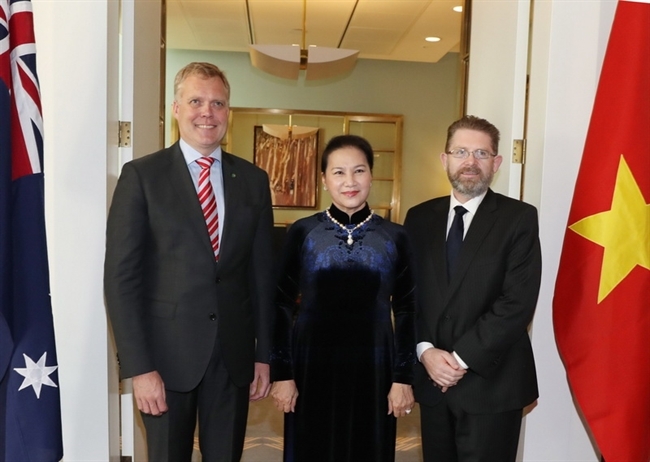 Notably, Senate President Scott Ryan invited NA Chairwoman Ngan and the Vietnamese delegation to attend a hearing of the Australian Senate. The Australian leaders expressed their delight that Prime Ministers Nguyen Xuan Phuc and Malcolm Turnbull agreed to lift the two countries’ relationship to a strategic partnership in the near future. 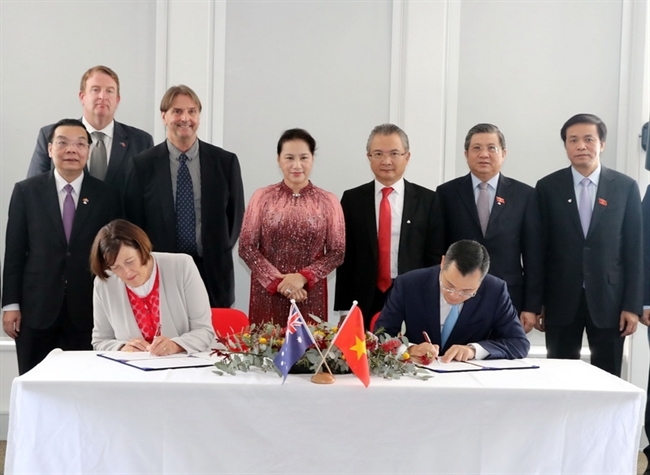 They said since diplomatic ties were set up nearly 45 years ago, Vietnam-Australia relations have developed unceasingly. Vietnam is now the 15th largest trade partner and ranks fifth among sources of foreign students in Australia. 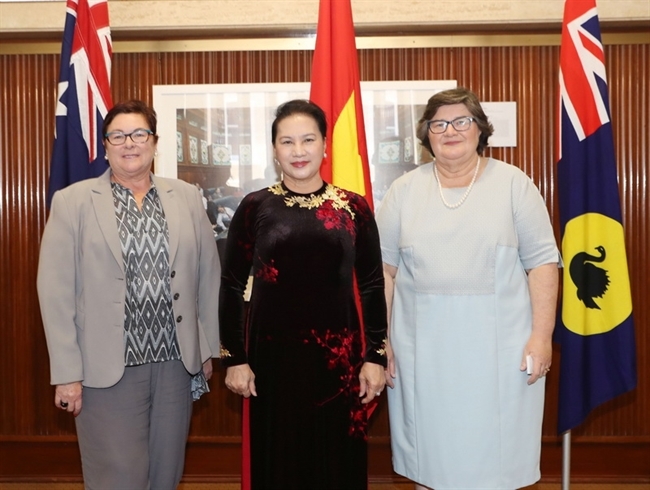 The number of Australian students in Vietnam has also increased rapidly over the last three years, from 161 in 2015 to 340 in 2017, and the figure is expected at more than 700 next year, Giau said, describing them as dynamic young ambassadors in the future. 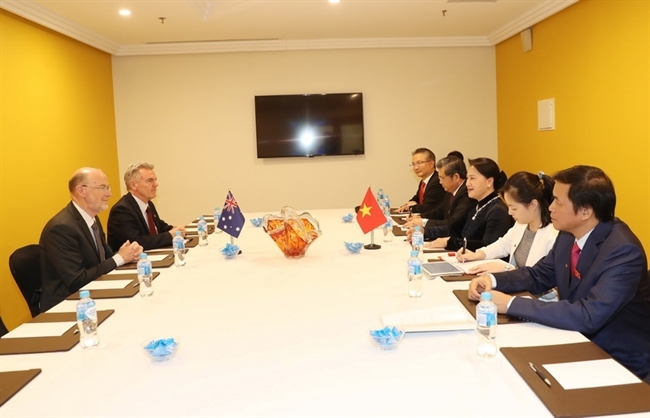 The Australian side also assessed Vietnam as a potential country for cooperation, especially in tourism. 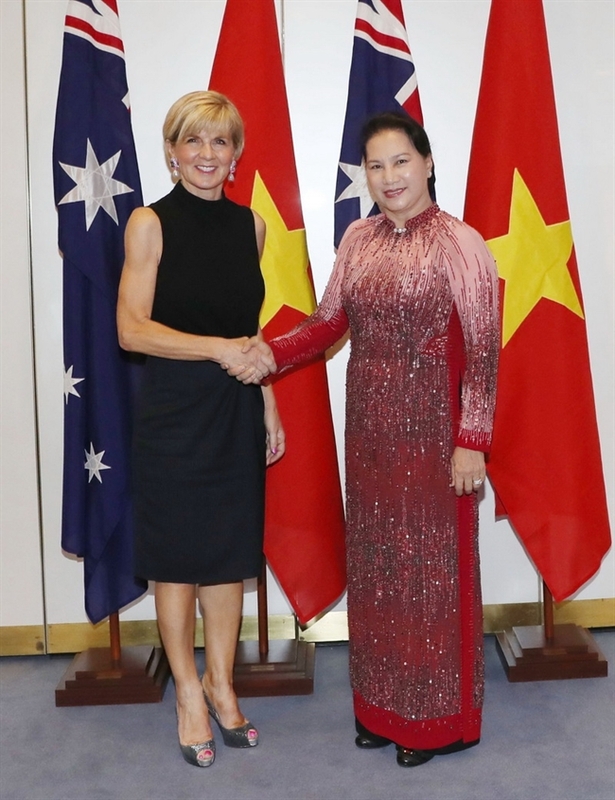 Foreign Minister Julie Bishop said 260,000 Australian tourists visited Vietnam in 2016, and the number will grow strongly in the time ahead as the Southeast Asian nation is home to many famous landscapes like Ha Long Bay, Trang An landscape complex, and Son Doong Cave that suit the demand of Australian people. between the Supreme Court of Western Australia and the Supreme People’s Court of Vietnam. 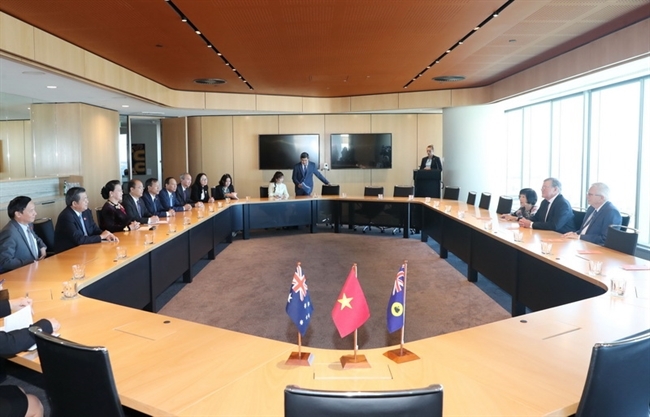 On December 1, 2017, the Vietnamese top legislator addressed the Vietnam – Australia Business Dialogue. During the visit, the host leaders also showed their interest in the East Sea issue. Minister Bishop said the Foreign Ministry of Australia recently released the White Paper, which also touches upon the problem. The Australian leaders expressed their consistent viewpoint that all issues relevant to the East Sea must be handled with respect to law and compliance with international commitments and law, especially the Hague tribunal’s ruling on a related lawsuit last year. Bishop said although Australia does not have interests pertaining to disputes in the East Sea, it wants other countries to ensure the freedom of navigation. 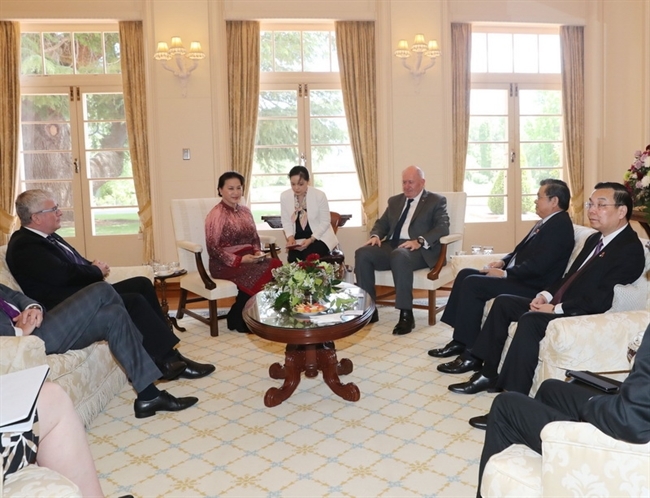 Governor–General Peter Cosgrove also showed a clear stance on this problem. 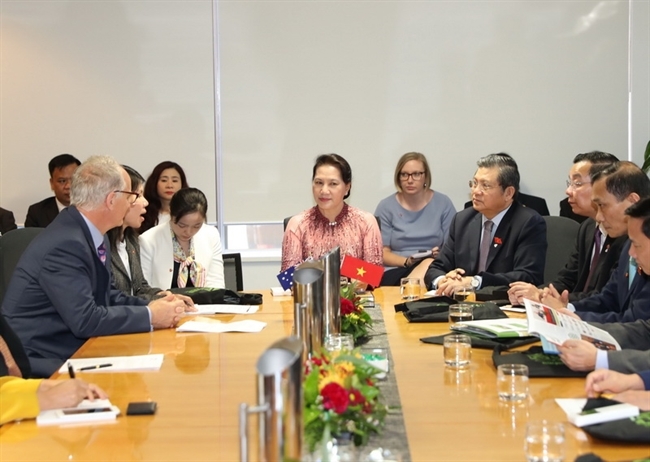 Political-diplomatic ties between Vietnam and Australia have been promoted at all levels, Giau said, noting that Speaker of Australia’s House of Representatives Tony Smith is scheduled to visit Vietnam in March 2018. 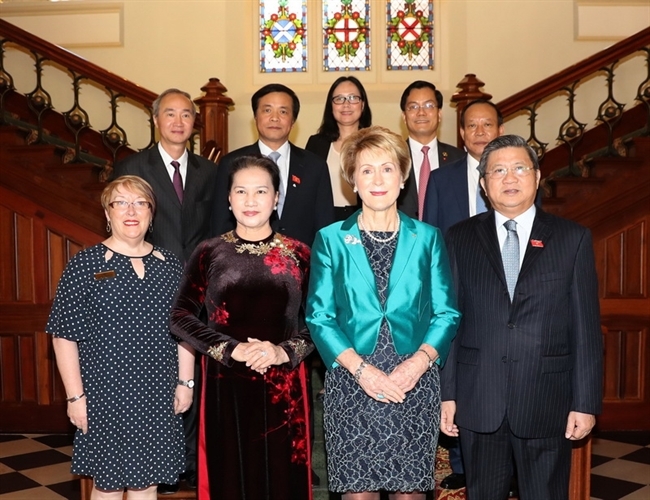 Later, the Australian Governor-General will also come to Vietnam after Prime Minister Nguyen Xuan Phuc makes an official trip to Australia next year. 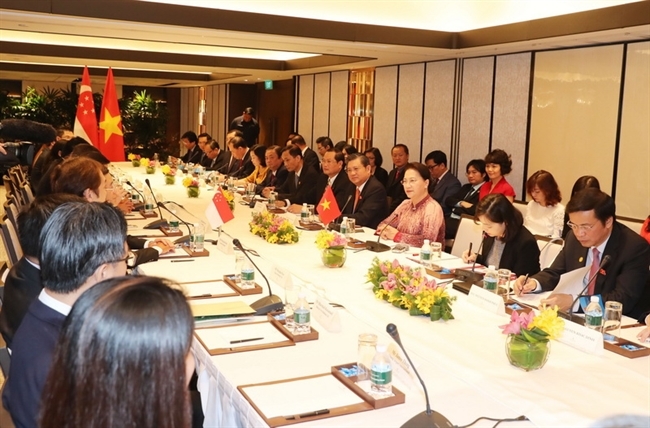 Mutual visits by parliamentary leaders of Vietnam and other countries left a good impression of the NA’s relations with parliaments around the globe, thereby helping realize diplomatic targets set in the country’s development and integration into the world, Giau added. 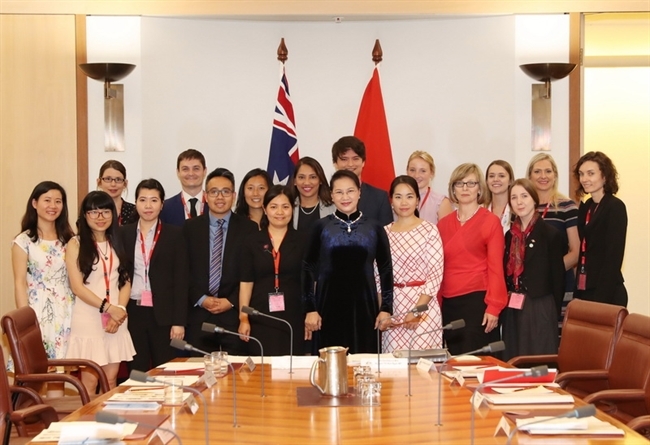 The Vietnam – Australia bilateral relations is developing rapidly and effectively. 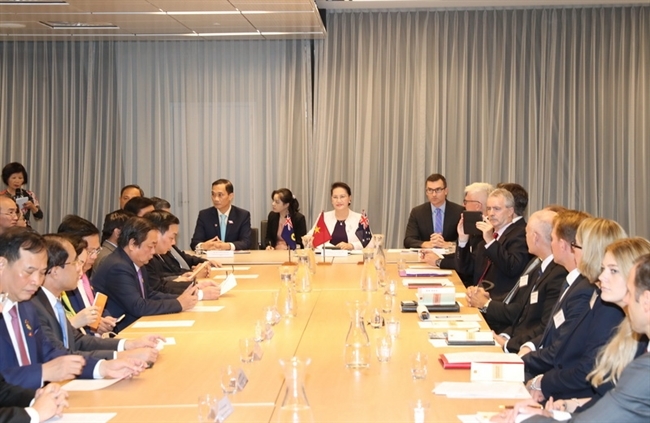 Australia ranks eighth among Vietnam’s trade partners and 19th among 128 countries and territories investing in Vietnam.